Appraisals are necessary for buying or selling property as well as for development and many other reasons. When you need the valuation of your property it is best to count on a professional commercial appraisal in Calgary. You want to know what your property is worth and our team of experienced Industrial Commercial Investment appraisers will provide you with the best and most accurate information. There are a number of different types of commercial appraisals that you may need. These include industrial, office or retail, multi-family and development land. 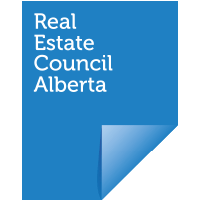 These are all areas that can be difficult to appraise and require a professional and experienced commercial appraisal in Calgary. Industrial properties may include a variety of markets such as owner-occupied industrial warehouses and multi-tenant properties. Office, retail and service properties require special valuing and may be needed by property owners, lenders, private corporations or municipalities. Multi-tenant properties are appraised using several methods including comparable sales data, income approach and cost approach. A professional commercial appraisal in Calgary is done using these methods to achieve the most accurate and reliable results. The income approach looks at the fair market rent of each unit based on similar rentals in the same location. The cost approach compares the cost of purchasing property with the cost of building a new structure. This is especially helpful when evaluating buildings that have been built recently, within the last decade. A different approach is necessary for development land. You may have development land in either urban or rural settings but regardless, appraisers use a discounted cash flow analysis, DCF, to determine the value. This analysis includes the review of potential income, absorption period, carrying costs and the resulting net cash flow. The DCF method of analysis is also ideal for using when you want to evaluate whether a project is feasible. The financial feasibility of a development project is the most important concern when you are considering purchasing or developing property. Development land appraisals can be complex but we have six commercial real-estate appraisers who are very experienced in these types of appraisals. Regardless of your appraisal needs, our team has the knowledge and expertise to handle your requirements. We understand the many intricacies of commercial appraisal in Calgary and have the ability to provide you with the accurate results you expect. Appraisals need to be completed properly and must be as detailed as possible. Focus must be placed on in-depth appraisals without any bias or partiality. We know that our clients count on our appraisals to make important business decisions that could have a lasting impact on their financial future. Balanced, fair appraisals are essential because any inaccuracies or bias could lead someone to make the wrong decision. At Harrison Bowker Valuation Group we value accuracy and always provide a thorough and fair appraisal. 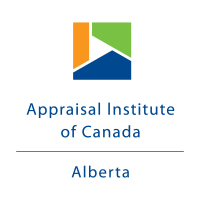 Our team of appraisers has experience working in Calgary, Edmonton and rural locations across Alberta. We perform valuations in Alberta and into B.C. Contact us today for all your commercial valuation needs.